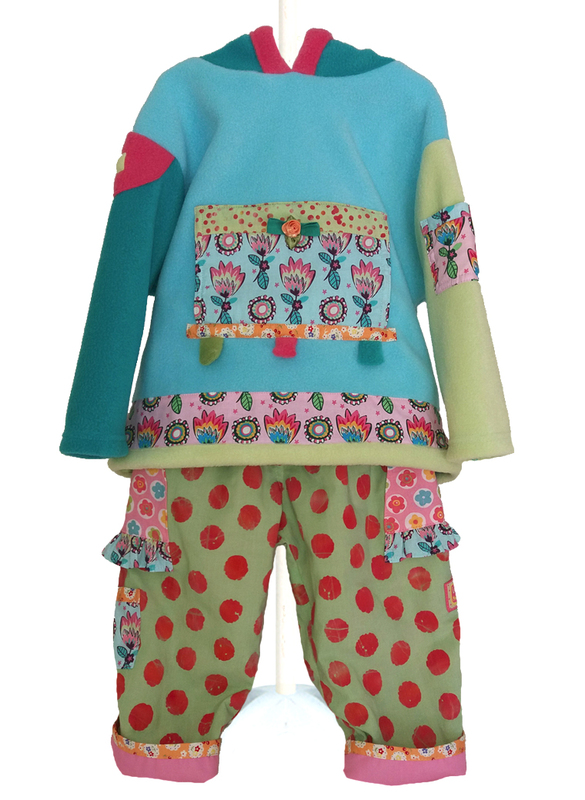 Spring green, big fun spotty printed cotton trousers. Featuring two pretty frilled pockets, decorated with little chiffon roses (and an extra tiny baby pocket too). 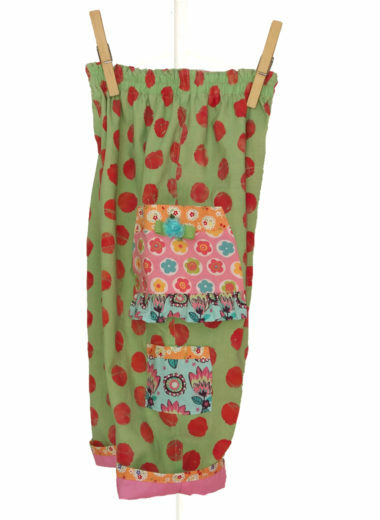 Fully lined in candy pink cotton, with a comfortable elasticated waist and turn-up legs for longevity.